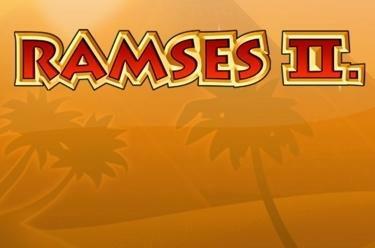 Play Ramses II online for free now! The most important ruler in ancient Egypt has kept his power until today - especially when it comes to increasing the number of your Twists! Secure dizzying winnings with Ramses II because he will protect your endeavours and when the scarab finally enters the game nothing can stop your luck! 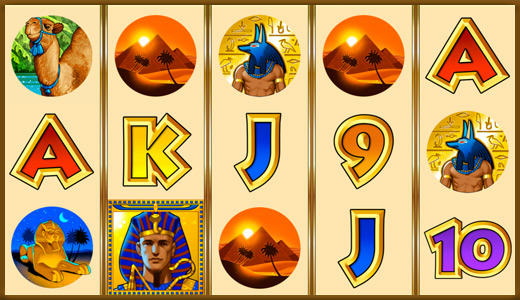 5 reels with 20 win lines are by your side when you are hunting for treasures in the realm of the Pharaohs. Ideally you land 5 identical symbols along a win line! To win you have to land several identical symbols from the left side by side without interruption on a win line. All win lines run in different patterns from left to right across the reels. Ramses II doubles your winnings and grants you the odd SuperGame! If you land 3, 4 or 5 scarab symbols in any position you win 15 Bonus Games, which will use the bet of your last regular game. All winnings in the Bonus Game will be tripled. Furthermore you win additional bonus rounds in the current Bonus Game if you land 3, 4 or 5 scarabs.